You should get a handle on your budget before deciding to buy your first car… really? And you should book a test drive before signing on the dotted line? You don’t say! 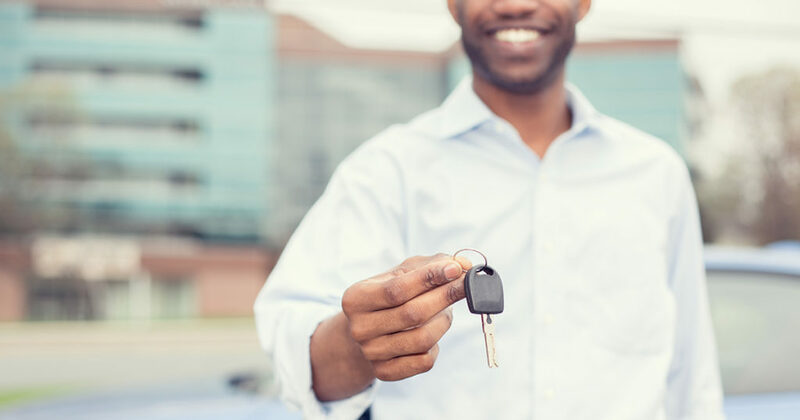 If you’re tired of looking for helpful advice about buying your first car and just end up reading something that should really be titled “The 10 most obvious car-buying tips you’ve already worked out on your own”, then this is for you! Behold: some darn good advice you’ve probably never heard. Now that Christmas and the holiday season has bankrupt the nation yet again, car-dealers who still need to hit targets and pay salaries are guaranteed to have rolled out the whopper deals. Just look at some of our own specials that are an absolute steal (literally; if you buy a Bolt, we’ll give you R15 000). As a bonus, if there’s one way to ensure you stick to your New Year’s Resolution to spend your money more wisely, it’s this. A car is a far better investment than… say, what were you spending all your surplus cash on? Coffee at the café on campus, online subscriptions you never use, rounds for your chommies that they won’t even remember drinking (much less that you bought them)? Exactly. This doesn’t mean you shouldn’t buy a good car… only that you should make sure you understand what’s a good car, for you. A luxury vehicle for an unbelievably low promotional price may look good now… until you need to fork out for maintenance and parts, not to mention the 4x4 fuel bill! Your first car probably doesn’t need to be music-video-worthy. It just needs to get you from home to work and back again without sucking up the majority of the money you just earned. Even a good starter car can put you out of pocket, when there’s an exciting array of optional features to choose from. That doesn’t mean you should boycott anything above the standard offering, but make sure you can afford it and that it’s worth it. Also, avoid any hi-tech add-ons. They’ll be outdated long before you’re done paying them off and many of them can be replaced by store-bought devices that sell for a fraction of the price. This is a common trap people fall into to help justify their desire for additional features, or more expensive cars they don’t really need. The truth is, the resale value matters very little with your first car. In fact, many financial experts like this one recommend driving it until the wheels fall off. Why? Cars drop a huge chunk in value the minute you drive them off the lot, and more than half over the next 3-5 years. However, your first car can probably keep you going for another decade, which equals to roughly nine years free of car payments. Just imagine what you could do with that extra money instead of taking a hit for a new set of wheels every few years! Make sure the car you buy leaves enough in your budget for insurance and other essentials, like maintenance and services, new tyres, repairs, and towing and AA in case you break down. Some car brands and dealers do sell their cars with additional free value-added services, like TATA Touch, which will make sure you’re never stranded and will help you maintain your car in good condition, so it can take you further. Isn’t that really all you want from a car?